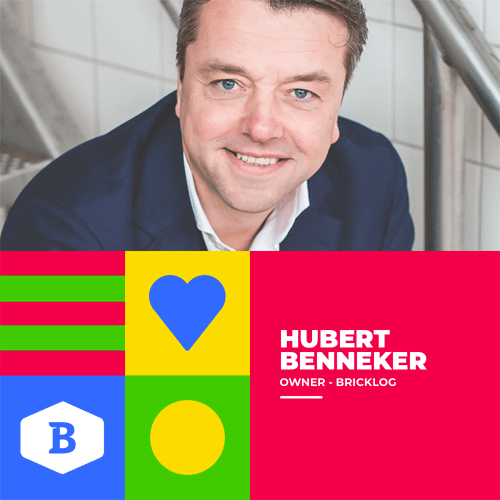 Hubert Benneker is the Founder of Bricklog and a pioneer within the field of logistics. Bricklog Disrupts the Transport World with Citizen Development. The secret to successful innovation? A tribe of the brightest minds ready for molding. Bricklog is pushing the limits of innovation by investing heavily in new hires and university students to become citizen developers. They’re creating a whole new generation to become a driving force in no-code application development. Hubert Benneker is the Founder of Bricklog and a pioneer within the field of logistics. His talent for connecting people, processes, and companies has allowed Bricklog to take their industry by storm. Now, Hubert is pushing the boundaries even further with a new generation of citizen developers.